Sam graduated from the University of West England Bristol in 2010. He has worked in both the NHS and private practice including independent sports injury clinics and global organisations such as BUPA. He has spent time working in Rugby and Cricket, including an opportunity to work with the England Women’s Cricket first team. Sam has a specialist interest in Sports and Exercise Medicine. 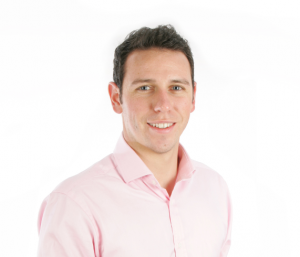 Whilst his key interests lie in the diagnosis and management of upper limb, knee and foot and ankle injuries, his current practice sees him treat musculoskeletal and sports injuries of all natures. His case load is varied and he is experienced in treating everyone from runners and triathletes to corporate workers suffering from spinal complaints. To gain further knowledge and expertise in his field, Sam is currently studying a Masters in Sports and Exercise Medicine at Queen Mary University London. This is an exciting opportunity that will see him gain experience of treating sports injuries first hand with professional sports teams under the guidance of leading experts in the world of sports medicine. Sam’s philosophy to physiotherapy is to empower the patient. Taking time to discuss the nature and cause of the injury, and to reason how to get better but also how to try to avoid getting injured in the future is paramount to his practice. Sam is fully registered with the Health & Care Professions Council (HCPC) and the Chartered Society of Physiotherapy (CSP) meaning he is fully insured to treat you. He also belongs to special interest groups; the Association of Chartered Physiotherapists in Sport and Exercise Medicine (ACPSEM), the European Union for Shoulder and Elbow Rehabilitation (EUSSER) and being certified in acupuncture he is a member of the British Medical Acupuncture Society (BMAS).